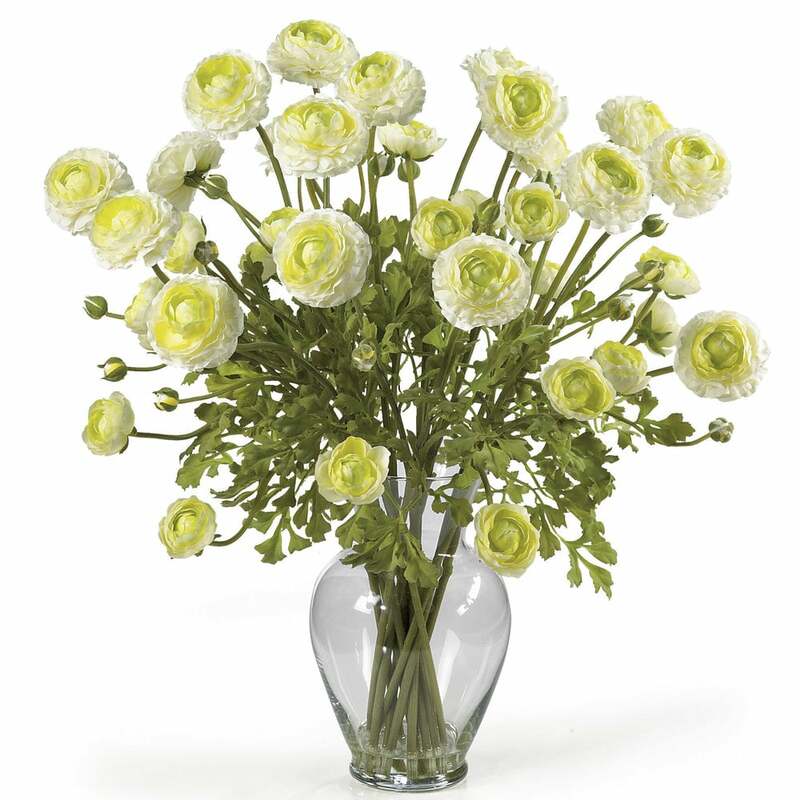 Add a touch of spring to your home with this beautiful silk ranunculus flower arrangement. This breathtaking beauty stands 24” tall, contains 12 stems of flowers with blossoms and buds. It comes in 5 brilliant colors: Beauty, cream, red, yellow, and mixed. It also features gorgeous green leaves all set in a classic glass vase with artificial water. For your home or as a lovely gift, this silk arrangement is something you don’t want to miss!